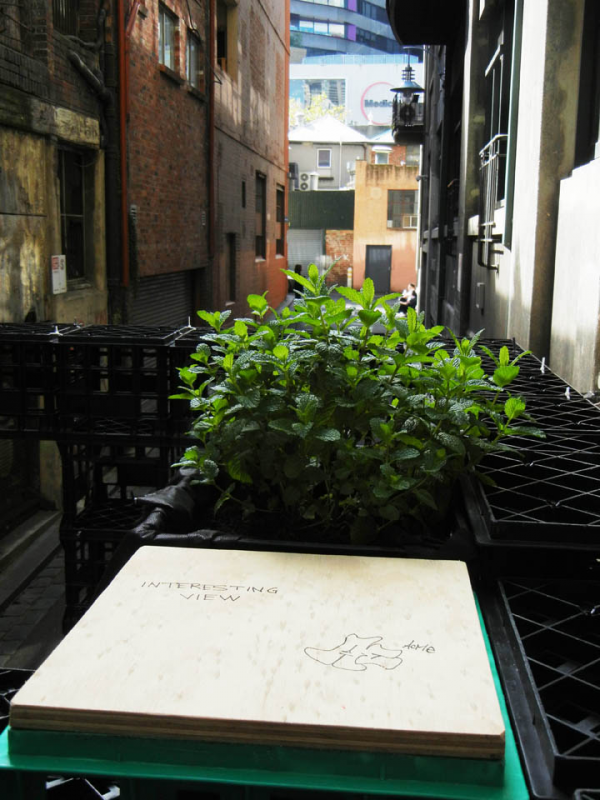 City_Leaks is a platform from Melbourne that seeks to inspire urban dwellers to explore moments, spaces and places that one can deposit themselves in. The challenge is to reconsider how we inhabit our cities. 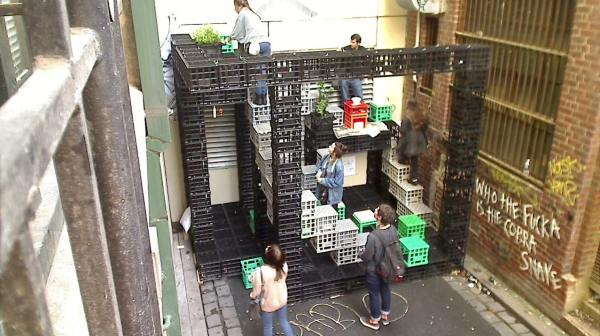 This had been made possible through Martin Heide and a few like-minded friends which have been quietly creating temporary installations in some of Melbourne’s abandoned public spaces and city laneways. Why do we leave the identity of our cities solely in the hands of politicians, governments, developers and investors? Why don’t we start creating, inventing and changing the cities ourselves? City_Leaks acts as a hub for like minded people to address and share ideas as well as organize and coordinate urban Interventions. These are projects like PlayMO, Imaginary Houses, Stepo Sit and Collapse Gallery. The creative item also those projects have in common is the usage of milk crates. More information about the projects via City Leaks and Brolly Studios. 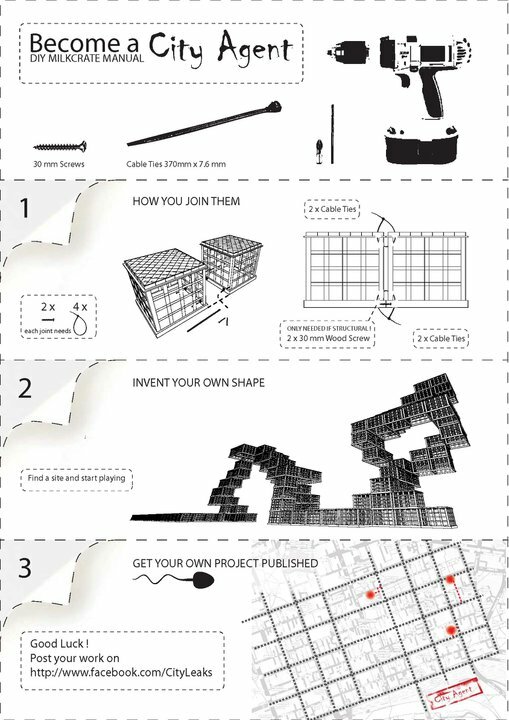 A more deeper look into the whole idea you can get through reading their paper called Para Architecture.